Part of our recycled glass ceiling light collection, the Angled Smoke Grey Glass Ceiling Light is a thing of beauty. 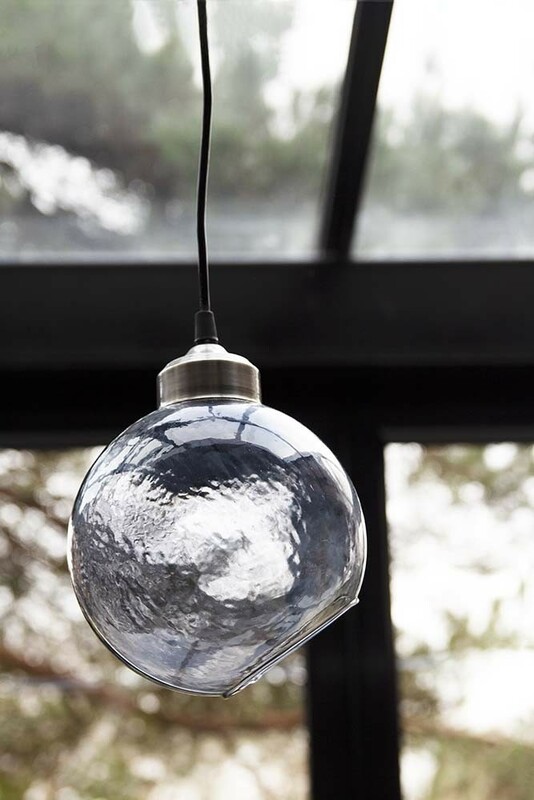 A circular cloche lamp shade in recycled grey glass with a directional angle perfect for illuminating your surfaces the ceiling light comes equipped with a fitted flex, fitting and ceiling rose. 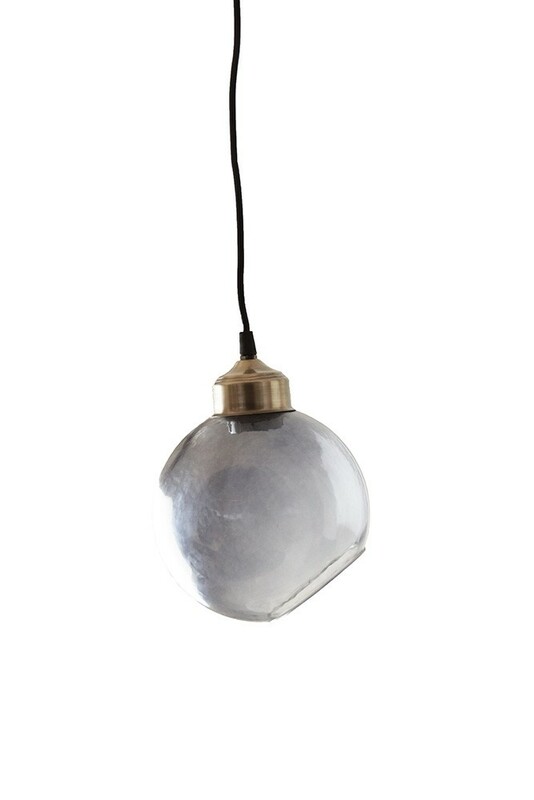 A gorgeous collection of recycled glass lighting, the Angled Glass Sphere Pendant Ceiling Light will cast your home in gorgeous mood enhancing light. Guaranteed to make you feel happier in the home. We also think that you will love the Angled Pendant Ceiling Light because it’s made from recycled grey glass. An eco-friendly and sustainable alternative to most ceiling lights you can light your home safe in the knowledge that you are doing your bit for the environment. A beautiful glass ceiling light like this will look great just about anywhere in the home. But, some of our favourite ideas include hanging the Smoke Grey Glass Ceiling Light either side of your bed as unique bedside tables or in a row of three in your hallway. Alternatively, why not invest in three of five of the Smoke Circular Glass Ceiling Lights and cluster them together over your dining table, kitchen island or in your living room? It’s an incredibly unique feature that will really create impact and wow-factor in your home. You could even mix and match your ceiling light colours with our Clear, Amber, Plum and Green Glass Ceiling Lights.